Manuel Herranz, as a representative from Pangeanic’s machine translation division PangeaMT will introduce business-changing technologies when using a powerful machine translation API and empowering translation practitioners to take the future in their own hands at Iolar’s TTT conference in Bled (Slovenia) 23rd-24th October, 2014. The conference will gather experts in several key areas to translation experts: terminology, technology, sales, the benefits of translation associations like ELIA, etc. Joaquim Alves, from JABA Translations will start the conference as the keynote speaker, where respected figures such as Renato Beninatto are also invited guests. The conference aims to analyze methods to increase productivity in the translation industry and improve translation skills, focusing on improving the every day work of translating professionals. PangeaMT’s transfer of theoretical knowledge from the best of European academia and research into useful technology for day-to-day practice at translation companies will be the focus of Manuel’s presentation in this very practical conference. Iolar’s TTT aims to analyse how general trends in the translation industry change due to new methods of communication. Post-editing, a natural consequence of MT development will be the focus of some sessions. Beyond post-editing, once engines are created at a company, they become an asset which is often infra-utilized. With the right system, LSPs can not only become independent tecnologically and improve their engines and re-train them, they can learn how to customize them and also provide MT output as a business to their clients. 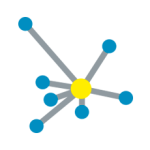 A machine translation API open doors currently closed to LSPs and new business revenue. PangeaMT is included in the technology section. 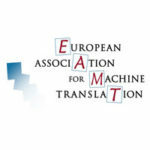 The title of Manuel’s presentation is “Empowering Users with Machine Translation Environments – PangeaMT” and follows PangeaMT’s mission to empower translation practitioners to let them be in control of their machine translation process rather than being passive consumers of MT products – pretty much what has happened to Translation Memory systems historically. The technology section at TTT will provide a general overview of current technologies in the translation industry. It will also aim to provide an insight into what the future is for translation companies as machine translation users. ways in which a powerful API can further business opportunites to a translation company to let it become “a true language provider” by opening access to its engines for fast translation to eCommerce sites, newsclips, etc. Do not miss this opportunity to visit beautiful Slovenia and meet the experts in a friendly, approachable setting.